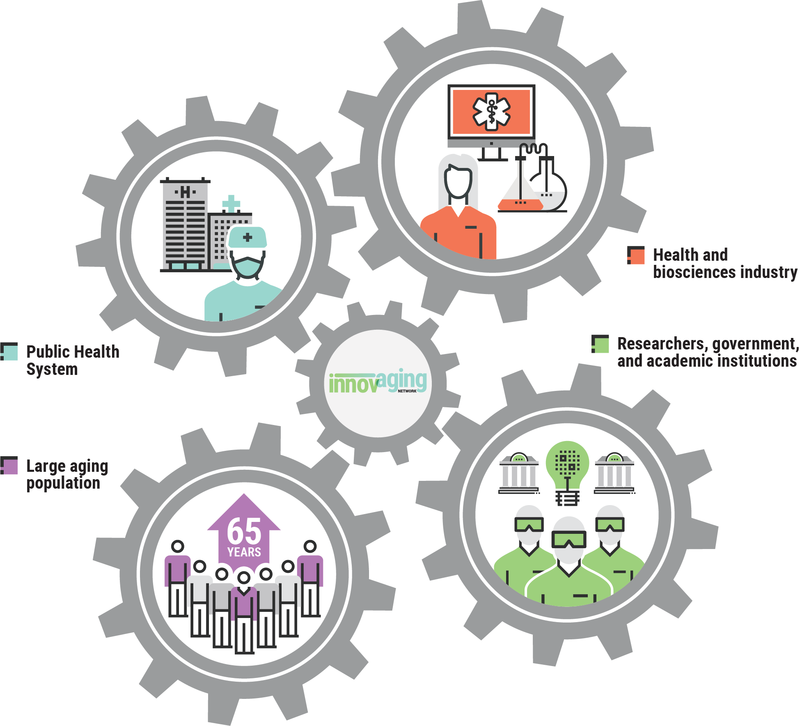 A national network of regional innovation hubs specializing in research, development, and production of stay-at-home technologies for seniors. A bridge between industry innovators and health care continuum that maximizes health outcomes for seniors. Helping seniors stay or return to independence through supportive technologies and modernized services. Positioning Canada as the world leader in technology for the aging population. We are working with academic and industry experts across the country to bring innovations to market. The technologies we develop will help establish Canada as a world leader in supportive technology for seniors. We're working with our partners to make these projects possible.